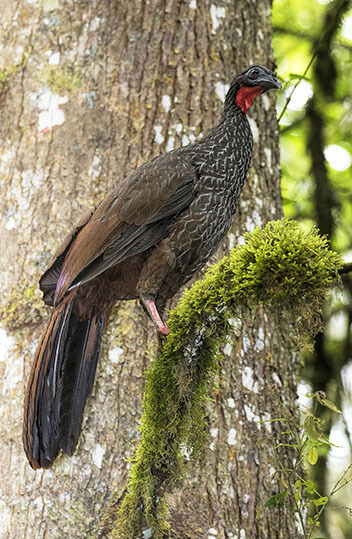 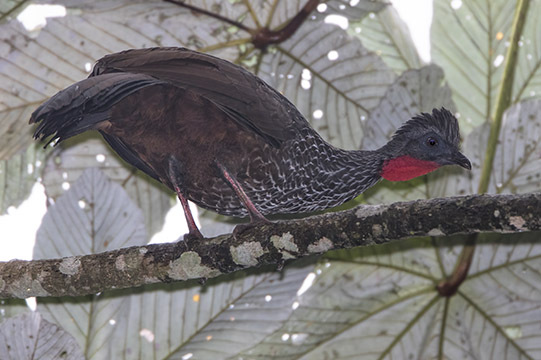 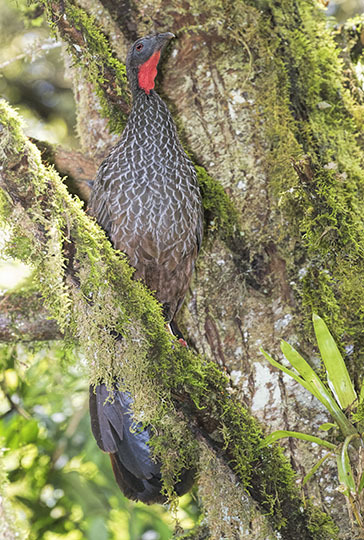 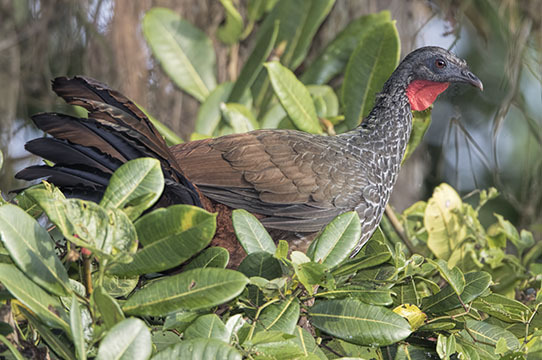 Guans are chicken-like birds, related to chachalacas, found in forested areas in Central and South America. 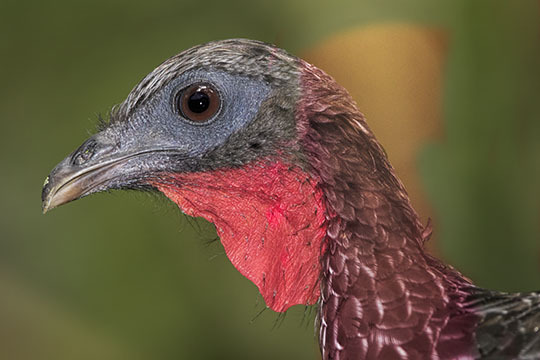 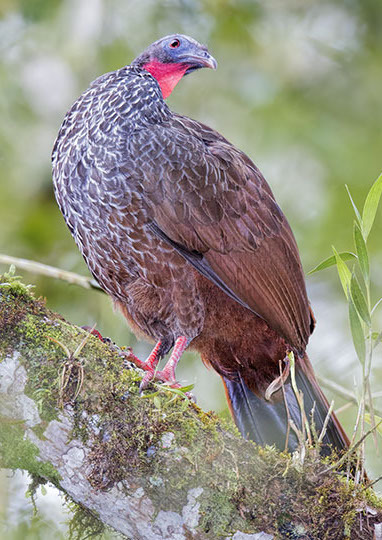 This is the Cauca guan, a threatened species with a very small range in Colombia. 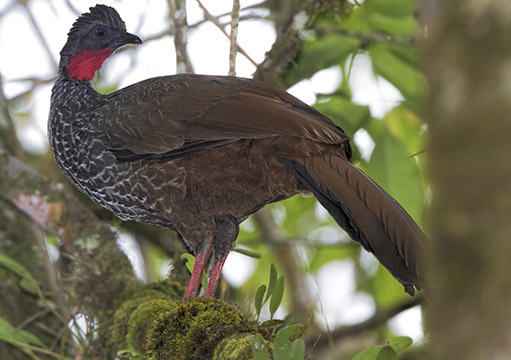 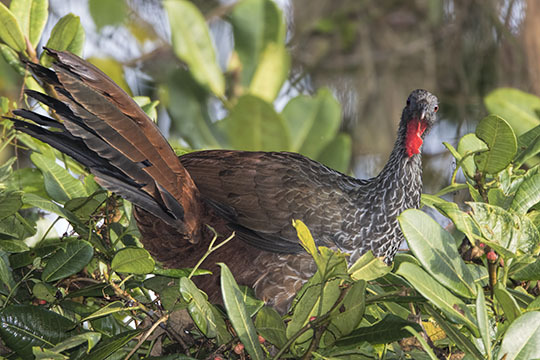 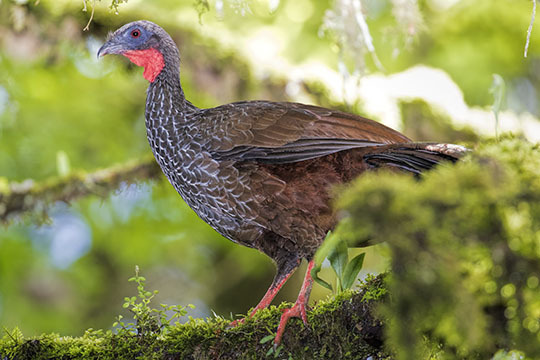 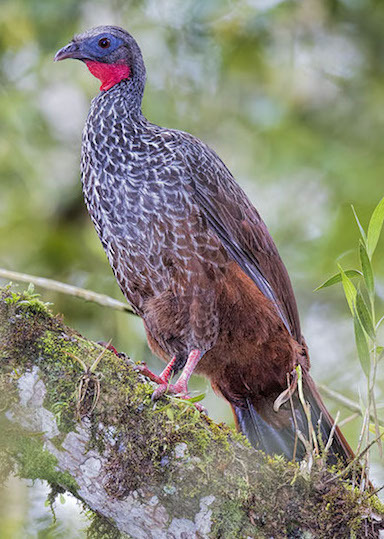 However, it was very abundant and obvious in the Otun Quimbaya sanctuary near Manizales, where I took these pictures (photos of the high-altitude Andean guan are here.